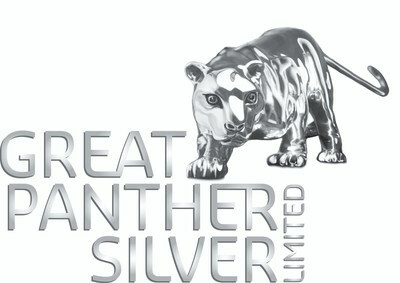 VANCOUVER, Jan. 29, 2019 /CNW/ - GREAT PANTHER SILVER LIMITED (TSX: GPR; NYSE American: GPL) ("Great Panther"; the "Company") announces that it has completed an updated Mineral Resource Estimate ("MRE") in accordance with National Instrument 43-101 for the Company's 100% owned Topia silver-gold-lead-zinc Mine in Durango, Mexico. Measured and Indicated ("M&I") Mineral Resources increased by 28% over the four-year period since the previous MRE in 2014, to 475.9 kt grading 461 g/t silver, 1.35 g/t gold, 3.87% lead and 4.06% zinc containing 14,770,000 silver equivalent ounces(1) ("Ag eq oz"). Inferred Mineral Resources decreased by 3% over the same period, to 400.4 kt grading 434 g/t silver, 1.34 g/t gold, 2.86% lead, and 2.97% zinc, containing 10,720,000 Ag eq oz(1). Production since the MRE with effective date of November 30, 2014 totaled 221.6 kt, with average grades of 357 g/t silver, 0.67 g/t gold, 2.27% lead, and 3.03% zinc, containing 4,840,000 Ag eq oz(1). "We are very pleased to announce a 28% increase in the Measured and Indicated Mineral Resources at the Topia Mine to nearly 15 million silver equivalent ounces," stated James Bannantine, President & CEO. "The Company was able to increase the resources even after mine depletion over the past four years. This update provides for a long mine life at Topia and supports the planned increase in processing capacity which is expected to increase 2019 production by approximately 25%. In addition, the conversion of Inferred Resources and further exploration potential provide a good opportunity to further extend mine life." 2018 Mineral Resource Ag eq oz were calculated using 80:1 Ag:Au ratio, and ratios of 1:0.0636 and 1:0.0818 for the price/ounce of silver to price/pound of lead and zinc, respectively. The ratios are reflective of average metal prices for 2018. Area-Specific vein bulk densities as follows: Argentina - 3.06t/m3; 1522 - 3.26t/m3; Durangueno - 3.12t/m3; El Rosario - 3.00t/m3; Hormiguera - 2.56t/m3; La Prieta - 2.85t/m3; Recompensa - 3.30t/m3; Animas - 3.02t/m3; San Miguel - 2.56t/m3. Measured, Indicated, and Inferred Mineral Resources are reported at a cut-off Net Smelter Return (NSR) as follows: 1522 Mine US$193/t, Argentina Mine US$172/t, Durangueno Mine US$144/t, Recompensa Mine US$151/t, Hormiguera Mine US$152/t, El Rosario Mine US$173/t, La Prieta US$235/t, Animas US$149/t, and San Miguel US$248/t. Mineral Resources are estimated using metal prices of US$1,225/oz Au, US$15.50/oz Ag, US$1.00/lb Pb, and US$1.15/lb Zn; and metallurgical recoveries of 94% for Ag, 60% for Au, 94% for Pb, and 93% for Zn. 2014 Mineral Resource Ag eq oz were calculated using metal prices of US$17/oz Ag, US$1,200/oz Au, US$0.90/lb Pb, and US$0.95/lb Zn, along with 2014 metal recoveries of 89.9% for Ag, 56.4% for Au, 94.0% for Pb, and 92.3% for Zn. The geological interpretations are similar to the previously reported MRE with the exception of adjustments made due to improved geological understanding of faulting and vein splays, and further constraints on the Leapfrog geological software used to create wireframes. Vein widths were adjusted to a minimum width of 0.3 m, with the assumption of zero grade waste, for the construction of wireframes. Capping of extraordinary high analytical values was completed both for drill core and underground samples from all 52 veins. The block modelling was conducted using MicroMine 3D geological software and the Inverse Distance Cubed grade estimation method. The NSR calculation was then completed on undiluted and capped block model assays. Over the period of November 30, 2014 to July 31, 2018 (effective dates of the last and this MRE, respectively) a total of 221.6 kt was mined at Topia with average grades of 357 g/t silver, 0.67 g/t gold, 2.27% lead, and 3.03% zinc. Reconciliations were completed at four of the nine mining areas (Argentina, Recompensa, Hormiguera, and El Rosario) to see how well production from each area matched block model corresponding volumes mined and associated grades. The four areas reconciled in this MRE show reasonable agreement with production in terms of tonnes and associated grades. While most of the current MRE is derived from Company core drilling and underground sampling along mine development, certain portions of the MRE (i.e. parts of Argentina Mine) are derived from verified pre-existing underground sampling. Analysis of the underground mine samples was completed at the on-site Topia Mine laboratory, while analysis of the drill-core was independently performed at the Company's Guanajuato Mine Complex ("GMC") laboratory by SGS Minerals Services (ISO 17025 Certified). The Company's QA/QC program for drill-core includes the regular insertion of blanks, standards, and duplicates into the sample shipments, diligent monitoring of assay results, and necessary remedial actions. QA/QC monitoring of the Topia Mine laboratory was accomplished by the monthly shipping and re-analysis of 25-30 mine sample pulps to the GMC laboratory, and statistically comparing the two laboratories' results using correlation coefficients. The GMC laboratory used the following analytical techniques, ASS12B for silver with over-limits (300 g/t) completed by FAG323, FAA313 for gold with over-limits completed by FAG323, and lead, zinc, copper, arsenic and antimony analysis completed using atomic absorption spectroscopy ("AAS"). At the Topia Mine laboratory, silver, gold, lead, zinc, and iron analysis are completed using AAS. Silver (300 g/t) and gold (10 g/t) over-limits are completed by fire assay. Robert F. Brown, P. Eng. is designated as the Qualified Person by Great Panther Silver Limited for the Topia Mine under the meaning of National Instrument 43-101 and has reviewed and approved this news-release. This news release contains forward-looking statements within the meaning of the United States Private Securities Litigation Reform Act of 1995 and forward-looking information within the meaning of Canadian securities laws (together, "forward-looking statements"). Such forward-looking statements may include, but are not limited to, statements regarding the overall economic potential and mine life of the Company's properties, the expectation of increased production from the Topia Mine, the exploration potential and possibility to increase mine life at the Topia Mine, and the timing or positive outcome of a production decision for the Coricancha project. These forward-looking statements involve known and unknown risks, uncertainties and other factors that may cause the actual results, performance or achievements expressed or implied by such forward-looking statements to be materially different. Assumptions upon which forward looking statements relating to the acquisition of Beadell Resources Limited ("Beadell") have been made include that Beadell and Great Panther will be able to satisfy the conditions of closing, that due diligence investigations of each party will not identify any materially adverse facts or circumstances, that the required approvals will be obtained from the shareholders of Beadell and Great Panther, and that all required third party, regulatory and government approvals will be obtained. Such factors include, among others, risks and uncertainties relating to potential political and social risks involving Beadell and Great Panther's operations in a foreign jurisdiction, the potential for unexpected costs and expenses, fluctuations in metal prices, fluctuations in currency exchange rates, physical risks inherent in mining operations, operating or technical difficulties in mineral exploration, changes in project parameters as plans continue to be refined, and other risks and uncertainties, including those described in respect of Great Panther, in its annual information form for the year ended December 31, 2017 and material change reports filed with the Canadian Securities Administrators available at www.sedar.com and reports on Form 40-F and Form 6-K filed with the Securities and Exchange Commission and available at www.sec.gov.